Bitcoin price in November 2016 - median price in USD from bitstamp trades. The following chart shows the price of Bitcoin in US Dollars from 1st to 30st November 2016. Bitcoin price rised over 18% in October 2016 starting from $610 and increasing up to $725. It is still a good chance to buy bitcoin and retire peacefully. The best idea is to invest small amounts in bitcoin every week. Hashflare offers new 1-year contracts for Zcash mining using the Equihash mining algorithm. 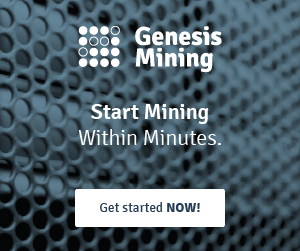 You can buy online miners for Zcash cryptocurrency and start mining instantly. You can pay with PayPal, credit card or directly with bitcoin. Cloud Zcash mining will be active for the whole year. Online mining power for Zcash using Equihash is limited. Now you can get a 10% discount using the following Hashflare promo code: HF16HLLWN10 (valid until November 6, 2016). Zcash pool settings will become available on November 21.